In this inteview, we discuss Kyle's background and what he learned from working in the entertainment industry. 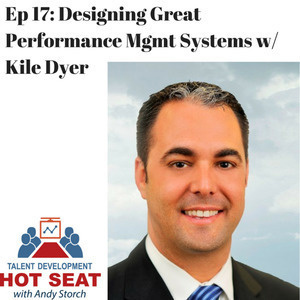 We also discuss how to build a performance management system from scratch, how to build great learning journeys and link them to succession planning. We also discuss the benefits of using simulations to drive alignment, mindset and capabilities in your busines.